the packaging of the Sphere is very tidy with just a small cube protecting the innards yet the contents are very well protected and separated neatly. 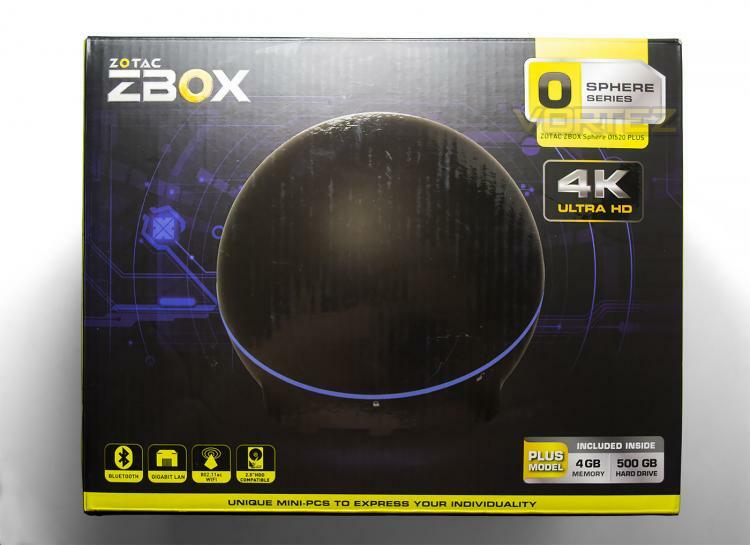 The front of the package shows us the Sphere itself along with the main features and specification. As this is the PLUS model it has 4GB of DDR3 and a 500GB hard drive along with Bluetooth, GIGABIT LAN and 802.11ac WiFi. 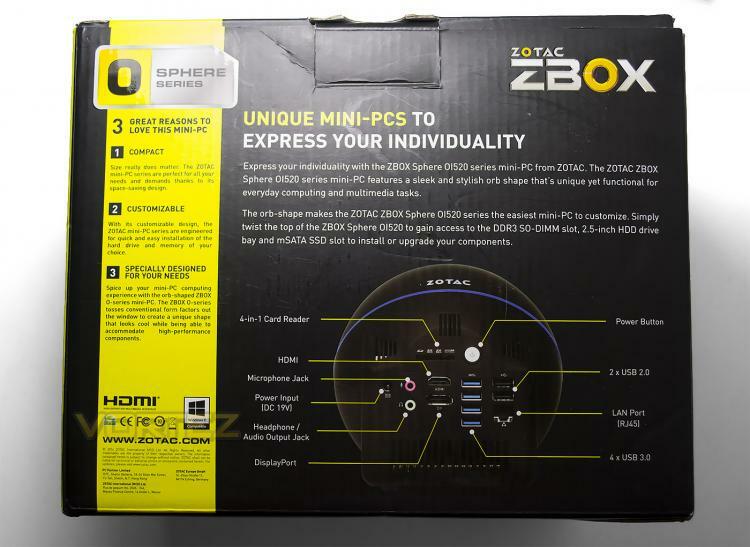 The rear of the packaging shows us the rear of the product (more on this later) and justification for buying a mini-PC mainly that this product is compact, customizable and designed for your needs. 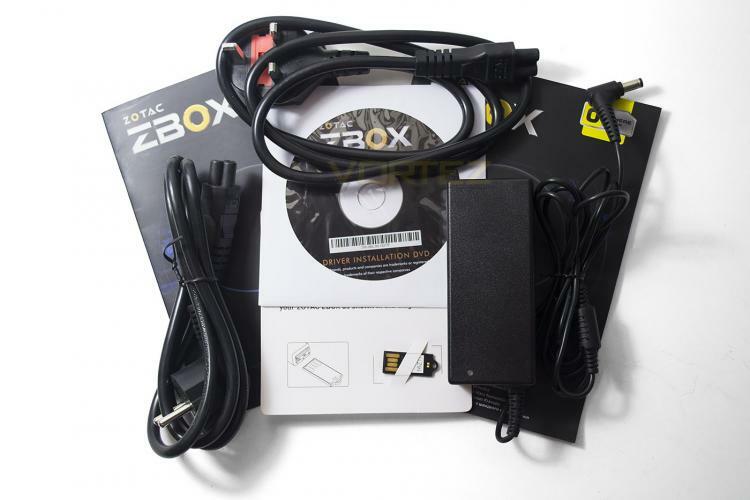 The accessories included with the ZBOX mainly consist of product documentation and powerleads/pack of which both Euro and UK plug designs are catered for. ZOTAC have also included a mini USB drive that has the drivers specific to this model which was very much appreciated and makes for an easy setup. If you have an external DVD drive available then you can also instal the drivers from the included DVD or indeed create your own USB driver on a pen drive of your own. We installed Linux (Ubuntu), Windows 7 and Windows 8 and didn't have any issues with any of these operating systems.